This page shows the latest meningitis news and features for those working in and with pharma, biotech and healthcare. vaccine Dengvaxia last year, as well as lumpy orders for its meningitis vaccine Menactra and overall static sales of paediatric combination shots. Approximately 14 fully matching, plus 54 partially matching documents found. One example is the Teddy Bears’ Picnic on the banks of the river Thames near Tower Bridge, which aimed to raise awareness of bacterial meningitis. GlaxoSmithKlein. Meningitis Trust. Mundipharma. Napp Pharmaceuticals. Novartis. Pfizer. Roche. 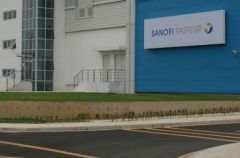 Sanofi. Shire.